After your day driving along the beach yesterday, this drive will only be along the beach for the first half before it heads back inland. This is another full day so I would recommend picking the things you really want to stop at so that you don’t overwhelm yourself. This stretch of California coast has a lot of famous cities, beautiful views and great places to eat. Enjoy and be sure to leave a comment with your favorite stop. After getting on the road from Oxnard or Leo Carrillo I would recommend stopping at Pete’s Breakfast House for breakfast. 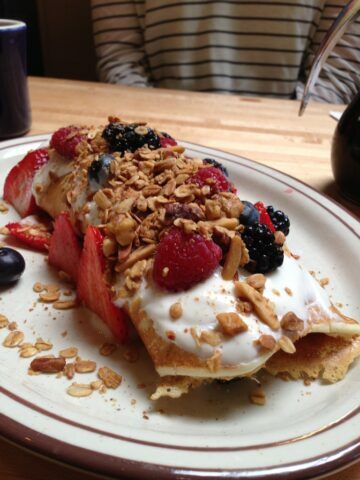 It was featured on Diners Drive Ins and Dives and for good reason as the pancake roll is ridiculously good. Be warned, this diner can get busy on the weekend though. 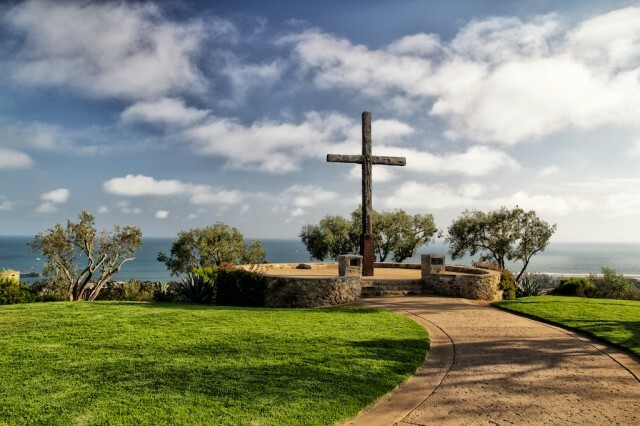 After a beautiful hour drive along the coast past Carpenteria, you will arrive in Santa Barbara. 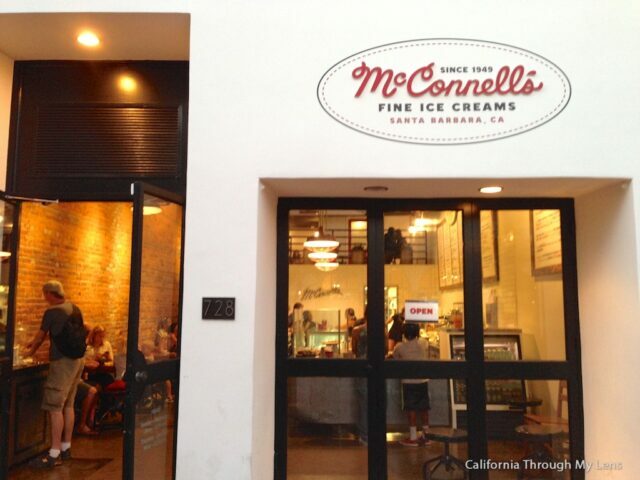 This is a great place to just walk around on State St and shop, see a mission or visit McConnel’s Ice Cream. McConnel’s is one of my favorite places to stop as the ice cream here is amazing. I recommend the chocolate con churros but everything I have had is good. Read more about McConnels here. 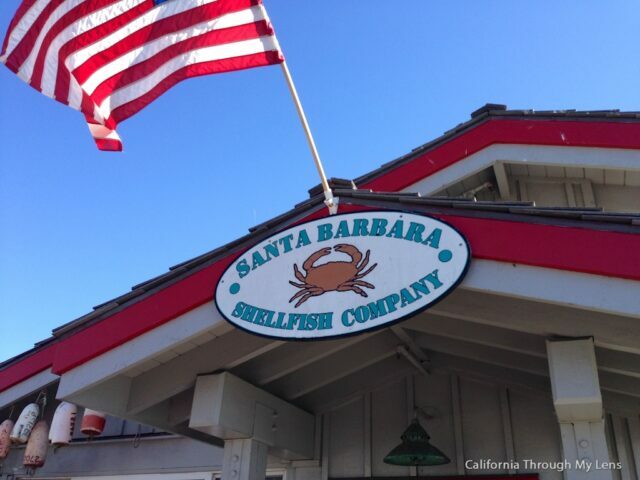 If you are ready for lunch then head down to the end of the pier (which is fun to eat at anyway) and stop at Santa Barbara Shellfish Company. Often the pier restaurants in California can be not that great since the location is so good, but this spot redeems the others. Everything here is fantastic but I recommend the Cioppino. I have told many people about this and never had anyone tell me I lead them astray. Read more about it here. Right where the beach meets the mountains, the wind caves of Gavota can be a great stop if you are looking for some hiking. 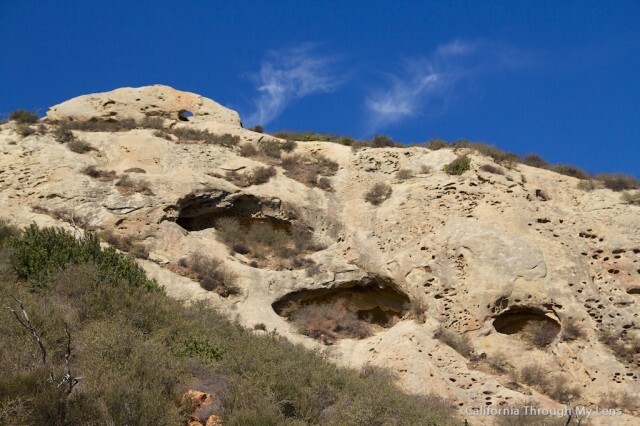 The hiking here is pretty much uphill the entire way and I would not recommend it when it is hot, but other times of the year it is a great way to see wind caves and a beautiful visita of the coastline. Read more about the Gavota Wind Caves here. 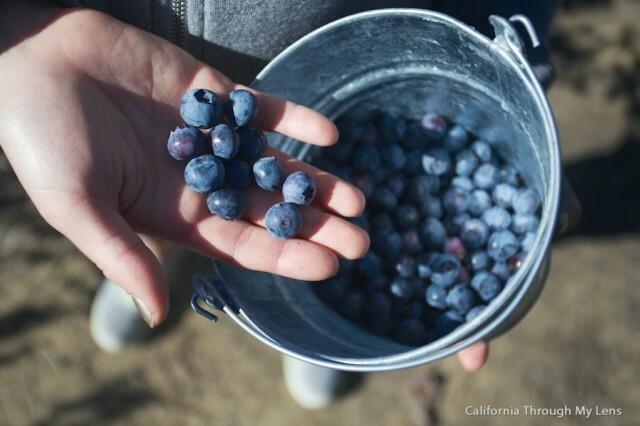 As you head inland consider stopping at Restoration Oaks and picking yourself some blueberries for the drive. This place is only open half the year but it is a lot of fun for the whole family and the blueberries are great as well. You pay by the weight so you can fill the pale as full as you would like. Read more about it here. From here the drive is sparse and there is not a lot to see until you reach the town of Lompoc. 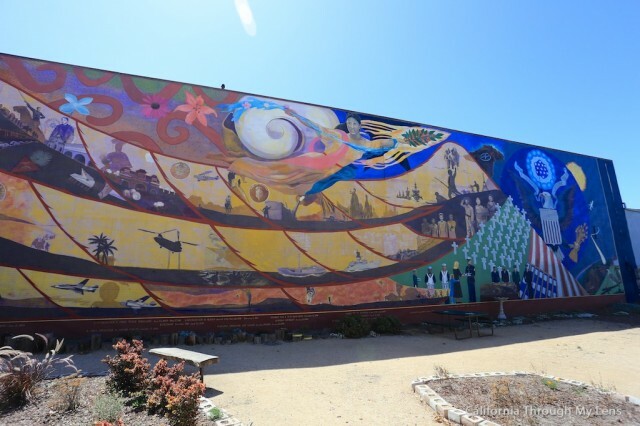 Lompoc has a mission, wine area and a series of murals. I like the murals in downtown and you can easily walk around and see them all without much effort. They are beautifully created each year and each one has a unique look. It is a great way to stretch your legs and see some history. Read more about the murals here. The main stop in Lompoc is a place called the Wine Ghetto. 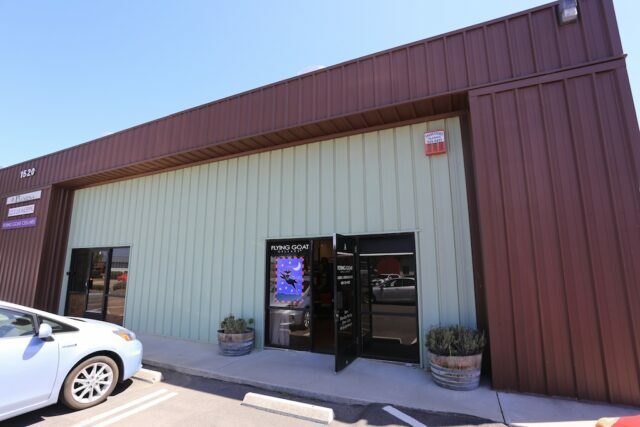 It is a collection of over 50 wineries that rent these commercial buildings behind a Home Depot and share their wines with anyone that is interested. You can walk between all of them and try a lot of new wines while learning about the wineries themselves. While not really on Highway 1, a short detour will take you to a farm that grows its own Luffas. Yes, those things that you shower with are grown on plants. They provide tours of the luffa farm and it is a fun and unique stop. Be sure to check their hours though as they are not open all the time. 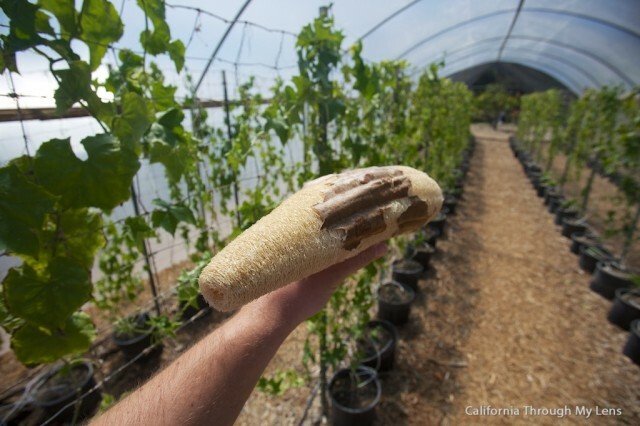 Read more about the Luffa Farm here. By this time you are probably hungry for dinner and I recommend heading to downtown Pismo Beach and grabbing a bowl of clam chowder at the famous Splash Cafe. It is my favorite clam chowder in all of California and the downtown area is a fun place to walk around. You can also head out on the pier and enjoy the sunset as well. 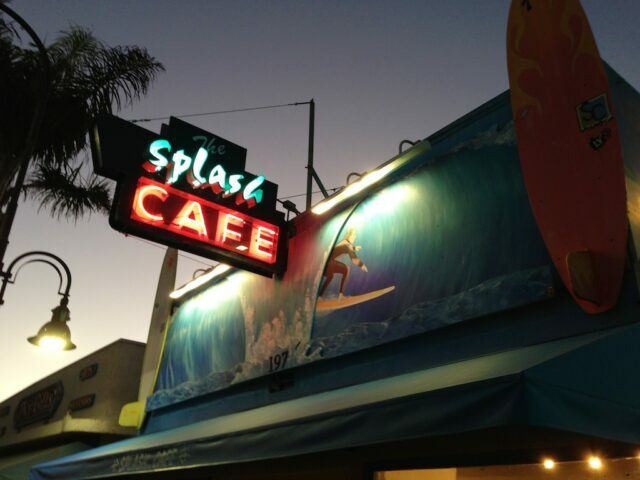 Read more about Splash Cafe here. 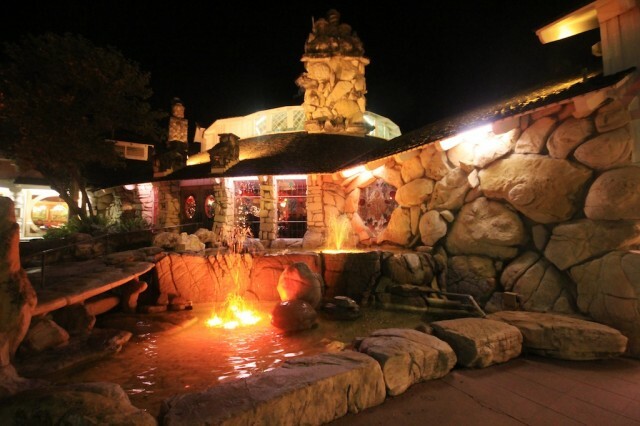 If you are looking for a hotel recommendation I would say to check out the Madonna Inn. It is a pricey option but this is my recommendation for a splurge on the drive as it has hundreds of different rooms all decorated super unique and is a lot of fun to explore the eclectic hotel. Read more about Madonna Inn here. Now you have officially finished your second day on PCH can you believe it? It is a crazy road and tomorrow’s drive thru Big Sur may be the most beautiful stretch of road you have ever seen. Be sure to leave your favorite spot in the comments and let me know what I left off.